There we go with LIBAS Winter new exclusive designs. In winters generally we prefer buying such dresses which are complimented with warm woolen shawls or chaddars. 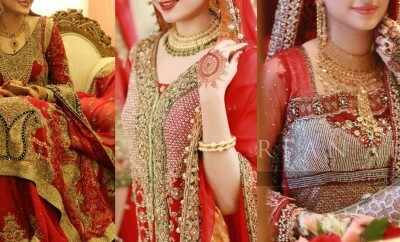 So the need to cover oneself after wearing such dresses may be eradicated this way, as the use of sweaters and jackets may hide the prominent designs on the front panels and necklines destroying the entire look of a suit. So, designers and brands focus on designing winter dresses with shawls instead of dupattas. The collections presented earlier in our seasonal gallery include very brilliant designs of winter fabrics in almost all stuffs used in fall season. But almost all of them have been complemented with shawls. 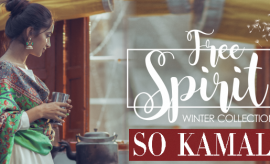 Now a different sort of assortment is just about to dispatch here which includes the classy winter classics along with warm shawls as well as dupattas to serve the best in the upcoming frosty season. 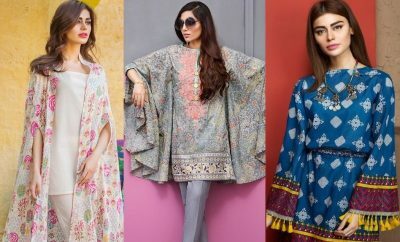 This amazing series of dresses is put forth by none other than Libas, brought to you by Shariq Textiles as The Libas Winter Designer Embroidered Collection. Libas is a brand which offers adorable seasonal prints every season for its fans. It also releases its special designs in Shariq Textiles designer gallery. Shariq Textiles itself is a prominent name of Pakistan’s textile industry, which is now dominating among its competitors. LIBAS has been reputed as a quality fabric house for casual and formal wear for all seasons. The factor of quality that it maintains in its fabrics and designs makes it reliable and trustworthy for the customers and this has also made it win customer satisfaction. A lot of lovely and fabulous designs are presented every season in the market by LIBAS, which have all been loved and appreciated by public. Like every year and season, the fall assortment is right here with us and we are just about to share the dazzling prints by LIBAS released in the Shariq Textiles Designer Wear Gallery, with you. You will surely enjoy watching the sizzling prints and will find them unique and impressive as well. So be ready to beat the heat with Shariq Textiles this winter. 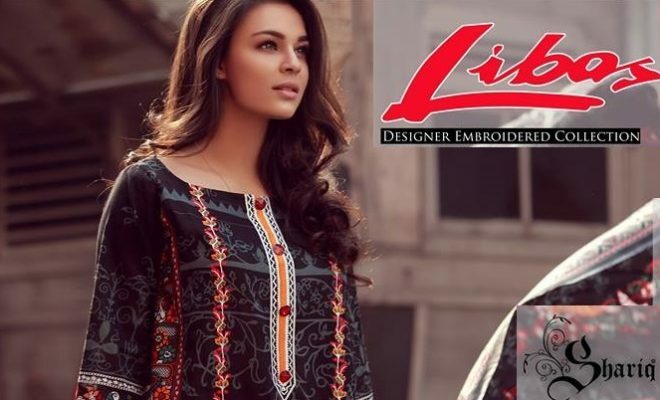 Libas Embroidered Winter Collection 2017-2018 by Shariq Textiles, with amazing designs of warm fall suits has been out and is available for sale nationwide. The stunning khaddar prints of this classy assortment are all entertained with exquisite designs and delicate embroideries with neat finishing. 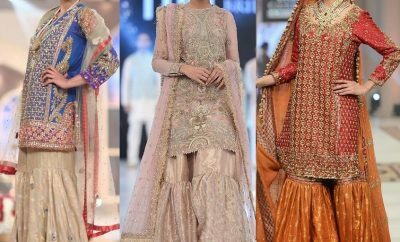 These dresses in three piece formations including Shalwar, Kameez and Khaddar Shawl are perfectly accurate and appropriate to be worn this season. Your winter closet is just waiting for these fall classics to add a charm and magic to it. So step ahead and make these suits a part of your wardrobe. Shariq Textiles LIBAS Winter Catalog 2017-2018 with all the new fall arrivals being displayed inside it has been attached into the following photo album making your selection easy and fast to refill your closets. 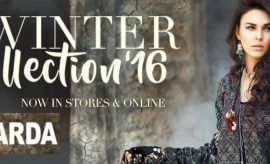 Have a look at these winter outfits and pick up your favourite ones. This lovely contrast of shocking pink and purple along with beautiful floral patterns all over the front and back is complimented with a very classy embroidered net dupatta adding to its elegance. This light colored winter outfit with embroidered neckline has a special texture all over it with a shawl like contrasting dupatta. Brown and blue together make a perfect contrast on winter stuff just like the one displayed below. Get it at a very economical rate at LIBAS estore. The contrast of chocolate brown and ferozi might sound a bit weird to you but it seems amazingly wonderful when complemented in winter stuff, just as showcased below. Cool thing about this outfit is that it has a quality ferozi colored net dupatta with embroidery over it. Another fabulous contrast for fall outfits is the combination of dark pink and sky blue. The one displayed below introduced by LIBAS is a perfect example of the grace of this contrasting amalgam. This light shade of mehndi green with brown thread embroidery on neckline has a classy black and white texture on front pannel and dupatta. This very beautiful three piece apple green colored winter suit with intricate pink embroidered design is the real worth having outfit for this fall season. This skin colored dress with pink and orange design is certainly the most elegant article of the series suitable for all age groups. It has a very pretty white colored embroidery on neckline. Here comes another classy article of the collection which has a special floral design in bright yellow and red color on navy blue base. Any collection whether branded or designer is incomplete without a black article. Here is the elegant black design of the LIBAS winter collection. Printed version of the black winter dress by LIBAS displayed into the follow section is simply amazing. Pastel brown in light shade paired up with fresh red gives an extremely classy look to an outfit. Here is the same contrast introduced by LIBAS in collaboration with Shariq Textiles. This light yet elegant contrast of peach and maroonish red is pretty cool for winters. Pink and purple always make a perfect contrast together. Here is the one in a very reasonable price range. Green appeared as the most trendy color of summers and now in winters as well it has been considered by almost every brand. This very beautiful shade of parrot green is delivering a classy look with very neat and elegant purple design. Purple embroidered net dupatta has increased the beauty of this dress by tons. This is the other shade and contrast of the above displayed parrot design. The baby pink net duppata of this dress is making it look even more elegant. This royal design by Libas has a special gold pattern on the finishing ends. Here is the other shade of the same above showcased royal design. Let’s wind up the Libas winter series with this dazzling skin brown designer suit with fresh purple flowers and a green design. The real grace of this dress lies in its net dupatta with embroidered flowers all over it. Another shade of this design is just displayed below. Please leave your feedback about this sizzling LIBAS Winter Collection by Shariq Textiles in the feedback section. 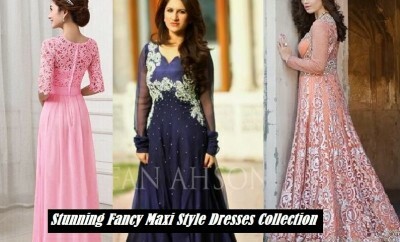 To purchase any of these dresses visit the LIBAS online store or any of the leading LIBAS outlet. Keep visiting Stylesglamour Winter Fashion Store for more latest fall collections and fashion updates.